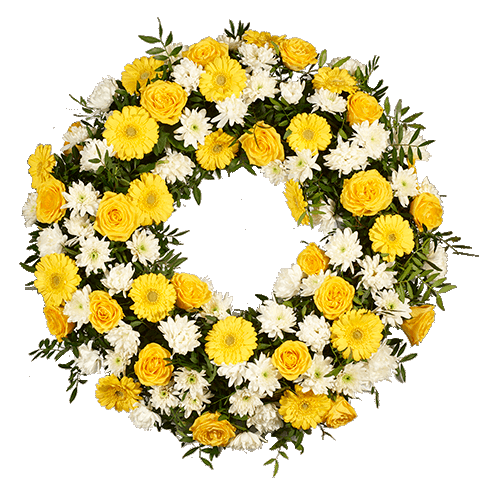 Send your condolences with this beautiful wreath of yellow roses, white chrysanthemums, and gerberas. This wreath of 90 to 100 flowers can be directly delivered to the funeral, with the possibility of adding a personalised touch. Size: 80cm in diameter.